Designed for Round Dining Tables. Hand Painted Details. 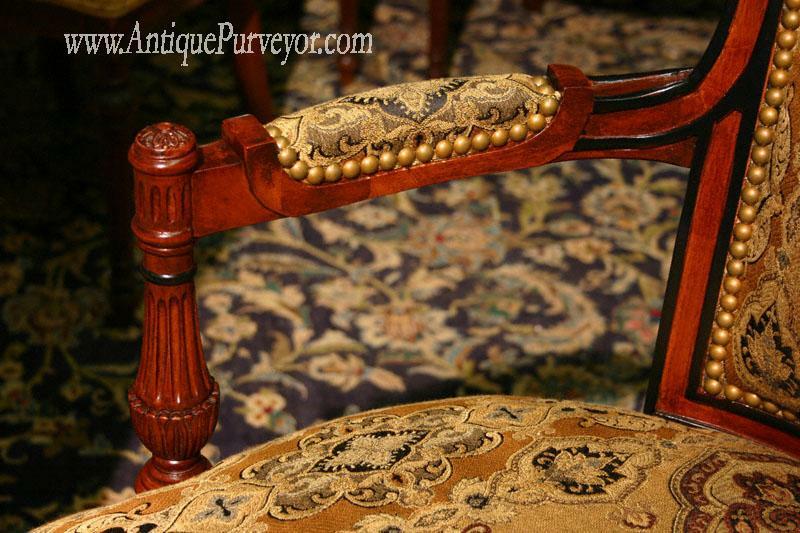 Description: Here is a custom chair that we carry specifically for round tables or for those who do not want a tall upholstered back. 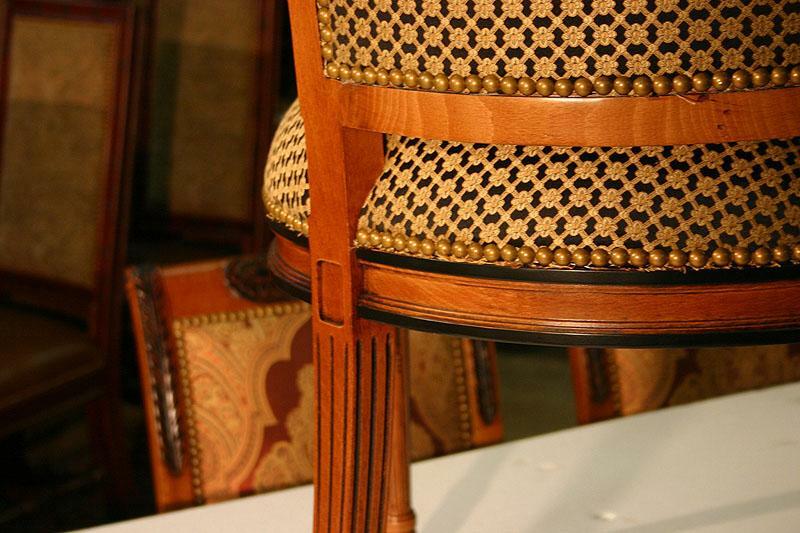 These frames have a Louis XVI style leg. 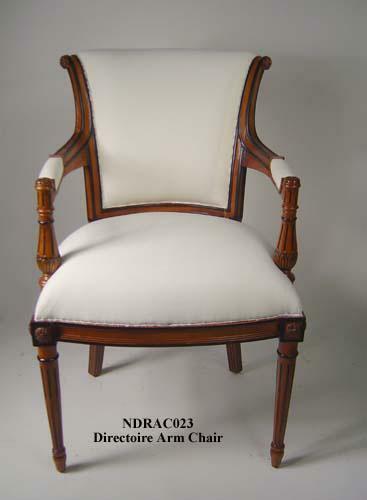 We offer this chair with two finishes. 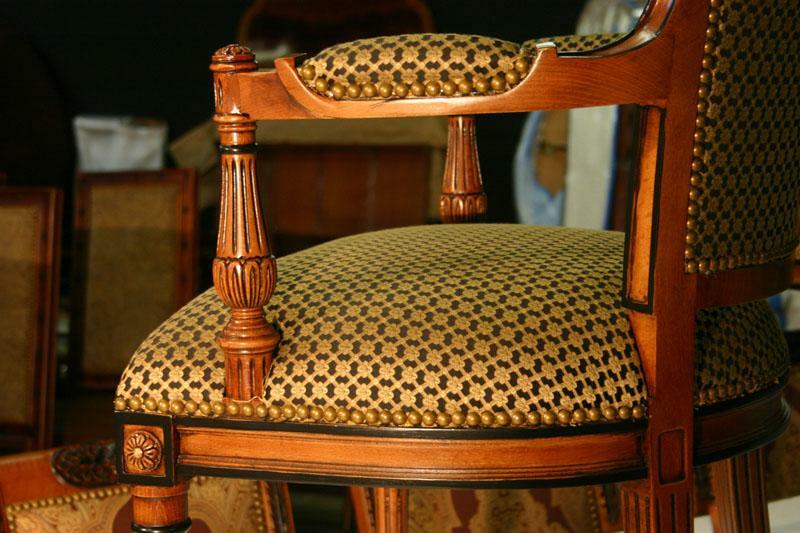 One finish is a mahogany with black accents and the other finish is a yellowish brown with black accents. 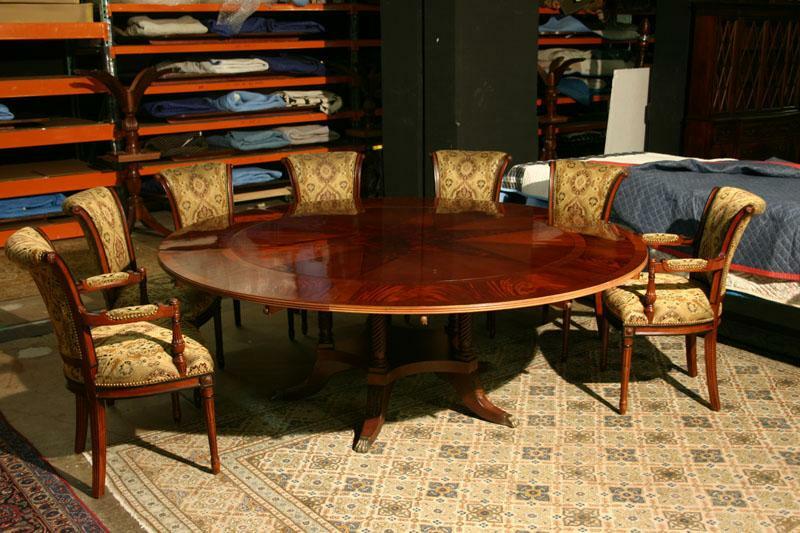 Mahogany perimeter tables genreally get paired with the darker chairs, as seen in the photo. 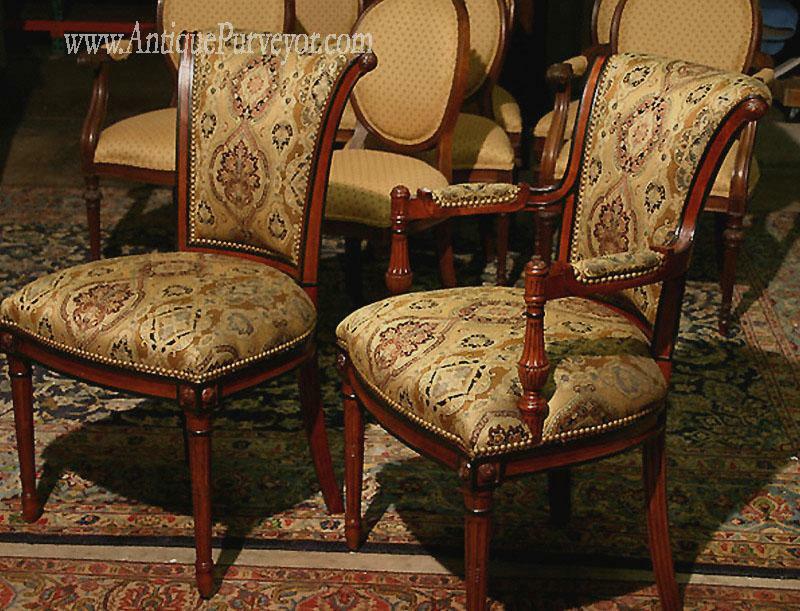 They are super comfortable, they have firm seats and any upholstery shop can cover these chairs with your own fabric. 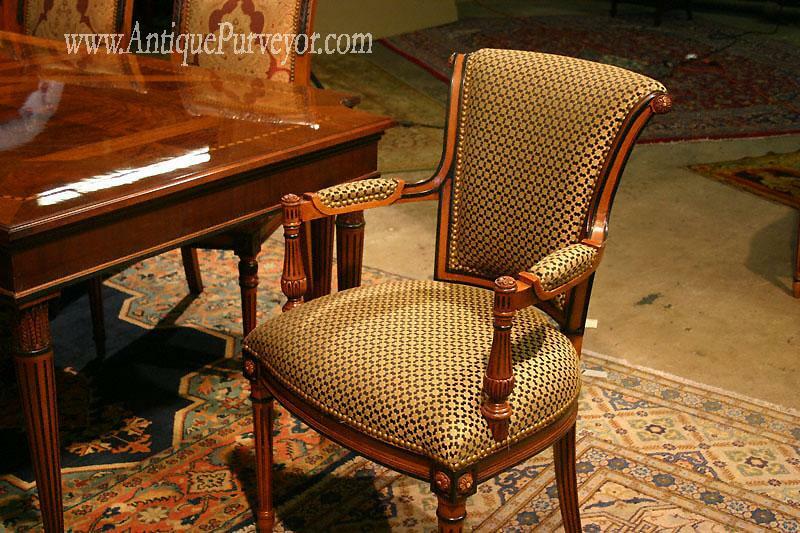 The last picture shows a chair in muslin fabric which is ready for an upholstery shop to cover. 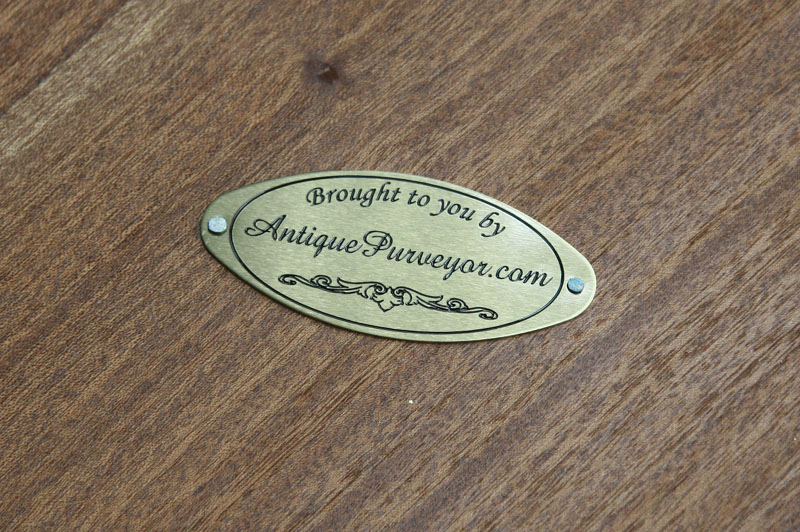 This is the chair that we ship unless otherwise instructed.